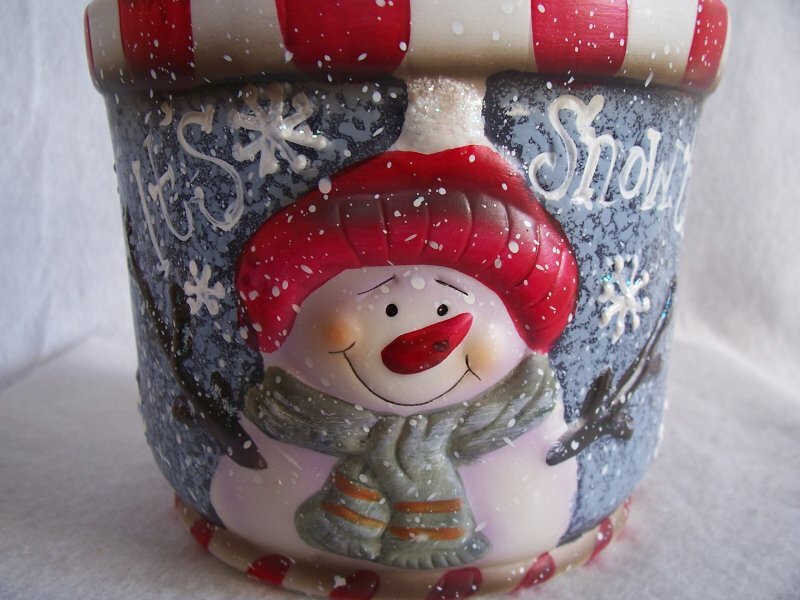 Christmas holiday themed Snowman cookie or treat jar. 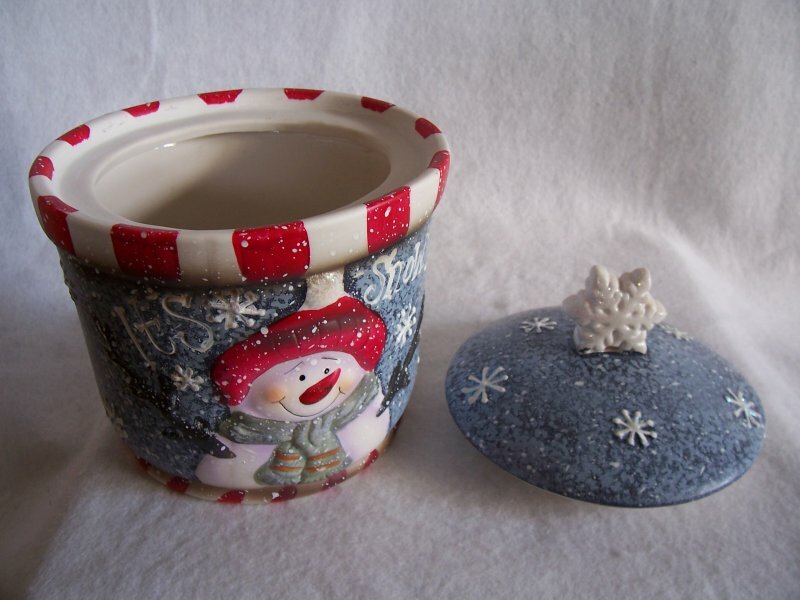 Adorable blue jar decorated with glittered snowflakes, raised snowman in red hat and blue scarf, and red and white checks around the rim. In gently used condition, it appears to have never been used. No cracks, chips or scratches. 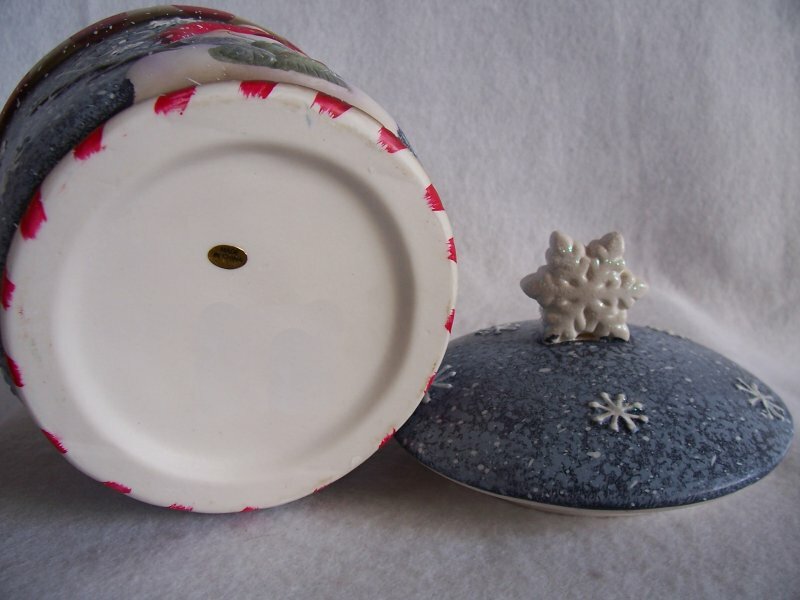 The cookie or treat jar measures 7 3/4 inches tall x 6 1/2 inches in diameter. 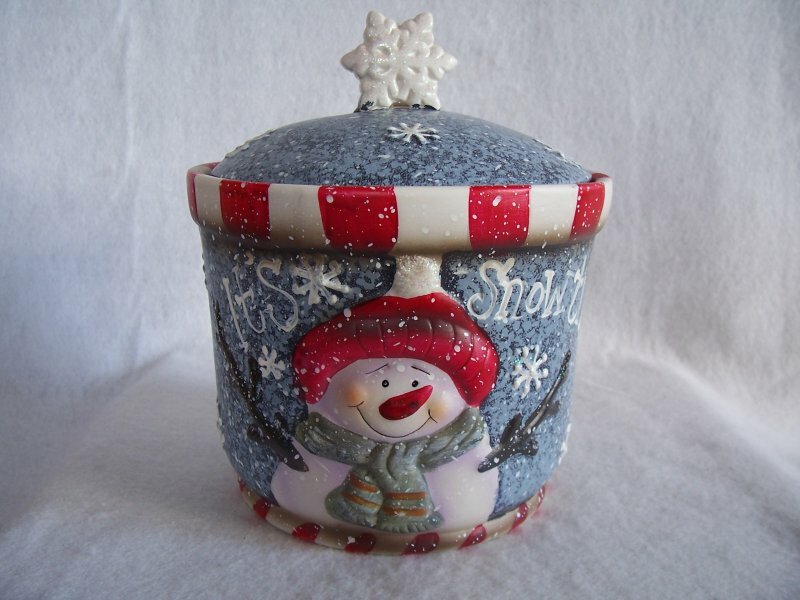 Christmas holiday themed Snowman cookie or treat jar. 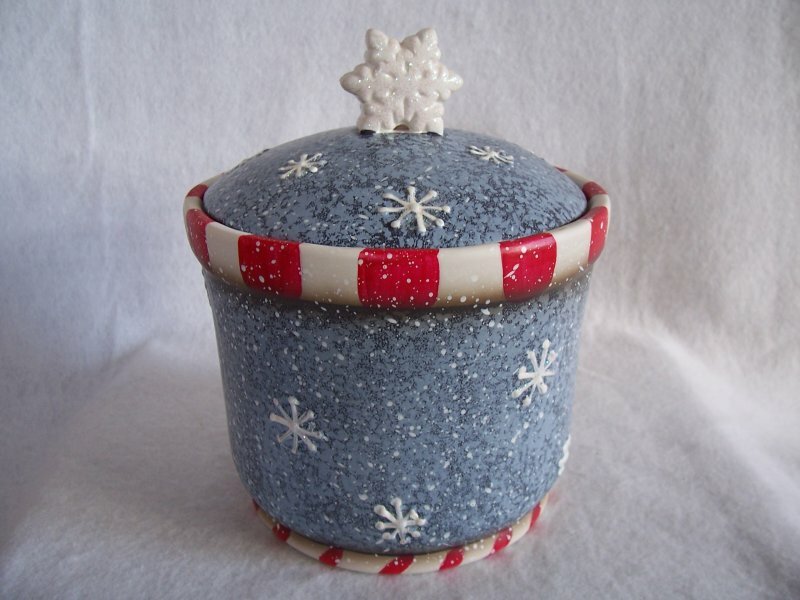 Adorable blue jar decorated with glittered snowflakes, raised snowman in red hat and blue scarf, and red and white checks around the rim. The handle of the lid is a snowflake. The exterior is a matte finish with the interior being glazed. In gently used condition, it appears to have never been used. No cracks, chips or scratches. 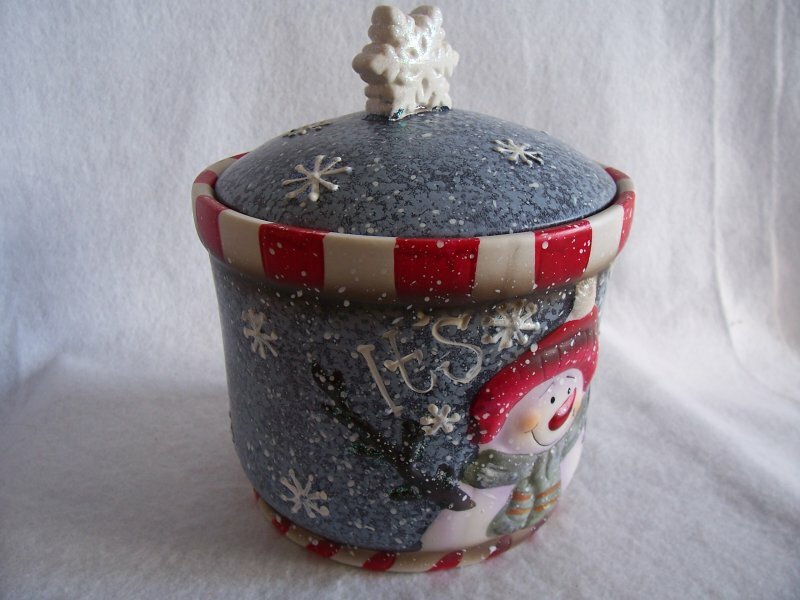 The cookie or treat jar measures 7 3/4 inches tall x 6 1/2 inches in diameter. It holds 56 ounces. Great for the snowman collector in your life. 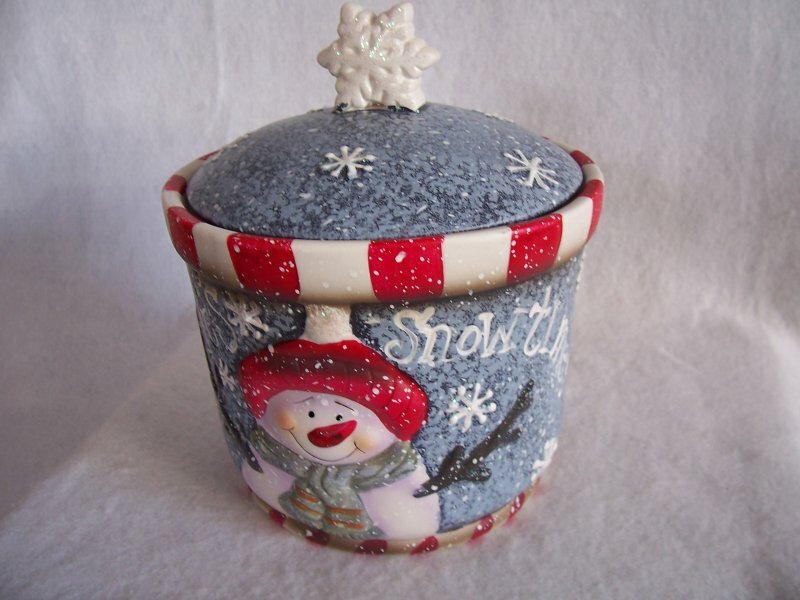 Fill with cookies or treats for gift giving. Could also be filled with pet treats for your favorite dog or cat this Christmas.